FIRST - an acronym meaning "For Inspiration and Recognition of Science and Technology". This is an organization and robotics competition founded by inventor Dean Kamen in 1989 in order to develop ways to inspire students in engineering and technology fields. Forward chaining - a process in which events or received data are considered by an entity to intelligently adapt its behavior. Factory Automation - the process of integrating industrial machinery with the help of control software in order to increases efficiency, productivity, quality and decreasing costs. Fanuc - this company manufactures most of the automated systems such as robots to industries in North and South America. 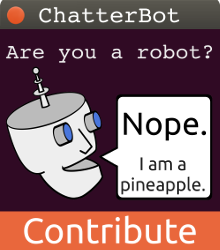 Feedback - signals from a robot that describe conditions as they actually exist, rather than as the computer has directed them to exist. Fixed Automation - (Hard Automation) an automated system that is controlled electronically and is designed to make simple, straight or circular motions. Systems such as these are usually used for producing items in situations where minimal flexibility is required. Flexibility - the diversity of the types of jobs that a robot is capable of doing. Flexible Automation - the the feature of a robot that allows it to be reconfigured in order to allow it to do a task other than what it is designed for. Fully Constrained Robot - the number of equality constraints on the robot that are equal to the number of independent joints.